Village View Post: COMMENTARY: HAPPY NEW YEAR BELIZE? What is wrong with this picture? Yesterday the murder statistics for the City of Chicago was posted and it boasted the lowest murder rate in 20 years, a total of 435 murders. The City of Chicago has a population of approximately 3 million and if you include the suburbs and the outlying areas, it jumps to 9.7 million. Belize reported a total of 132 murders for 2010 and it has a population of just over 300,000, do the math. People, we are in serious trouble, and unless something is done soon to curtail this abomination, we will become a lawless, ungovernable, failed state. I know that it is easy for me to sit here, far from the chaos, and opine while those at the frontline have to run the gauntlet every day and hope for the best. It is a very untenable situation which cannot, and should not stand! Apparently no one has any idea of how to stop the senseless killing or the rampant crime wave that has overrun the country, and has become the norm instead of the exception. The police are overwhelmed and incapable of tempering the savagery that has engulfed our "tranquil haven of democracy". 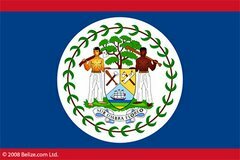 Belize needs help, and she needs it now! By the way, is Belize masculine or feminine? I never thought of that before. I have no idea of how to deal with this unacceptable situation either, but then I don't have the responsibility or the burthen of governing. Maybe the government should allow every citizen the right to bear arms to defend themselves, since law enforcement is incapable of protecting them. Maybe the government should become medieval and really stick it to the thugs that are creating havoc in the streets and homes of Belizeans. Maybe there should be a curfew for everyone under 21, and unless you have a permit to be out after curfew, the punishment should be severe. Maybe parents should be held responsible for crimes committed by minors, and again the punishment should be harsh. Maybe they should start hanging the guilty at bridgefoot like in the old days. Maybe, maybe, maybe, but something has to be done. The New Year is here, and it would be great if we could start reclaiming the streets and once again give the people the calm and peace that should be an inalienable right for each and every Belizean. Well, back in '08 I didn't vote...and the UDP won. This was fine by me, at the time. However, today, I can understand why this political party never serves a consecutive term. They are, as a government, incompetent and pretentious. They are here for the moment and the moment for them is great and prosperous, but for the rest of my country folk it is chaotic and often depressing. I can only hope that they will be removed from office... obviously there is never any better to come with the Barrow administration. A couple days ago I read an article about the Jamaican Police increasing their efforts to fight organized crimes.The police commissioner said that organized crimes is the cause of the violent crimes in Jamaica. I think in Belize the problem is gang violence.These gangs, many of them deported from the US where their crimes were a big business and a way of life for them in large American cities. BTW, I think Belize is male:)!